Irving, Texas — The Plastics Pipe Institute, Inc. (PPI) issued a warning about substandard plastic pipe. 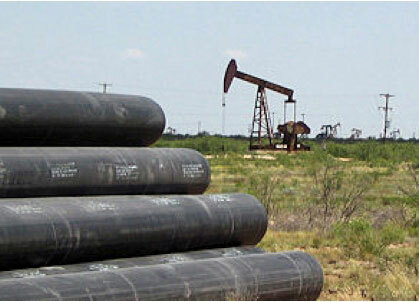 High-density polyethylene (HDPE) pipe that does not comply with the relevant product industry standards has been found in the oil and gas gathering operations of the Permian and Delaware basins in Texas and New Mexico, according to the association. These pipelines are not marked in accordance with the relevant product standard requirements, and therefore, may not comply with those product standards. Pipe that is not properly marked or certified provides no assurance of product quality and may not perform as intended for the application. The notice extends to other areas where HDPE pipe is widely used such as potable water, forced main sewers, industrial, and mining applications. PPI is the major North American plastic pipe trade association with many of its member companies producing resins, pipe, fittings, and components. “We’re issuing this advisory because we are seeing HDPE pipes that have significant quality issues,” stated Tony Radoszewski, CAE, president of PPI. “In some cases, neither the manufacturer nor the origin of the pipe could be identified. A properly marked HDPE pipe includes relevant standards on the pipe’s printline to identify piping materials that meet specific standards, and to help confirm that the pipe is suitable for its intended purpose. But this cannot be relied upon by itself as a printline is no guarantee of the quality of the pipe. There are other end-user validation points such as Certificates of Quality from the manufacturer, on-site inspections of the plant, and an array of short-term physical property and mechanical tests and measurements on produced pipe to verify pipe quality. PPI and its member companies have participated in the ANSI consensus processes that led to the development of several national standards, including ASTM D2513, ASTM F2619 and API 15LE. These standards prescribe rigorous materials qualification and testing requirements for HDPE pipe to ensure that plastic piping materials meet the performance requirements of demanding applications in oil and gas field operations. Additionally, these standards require that the relevant standard be referenced on the pipe’s printline, so that users should be able to readily identify piping materials that meet the standard(s) and be assured that the pipe that they purchase is suitable for its intended purpose. The association also recommends that purchasers review the pipe manufacturer’s certification reports along with physical plant inspections or independent third-party validation.